The IP Office IP500 V2 Combination Card ATM combines multiple station and trunk ports with voice over IP resources in a single cost effective card. Maximum of two (2) Combo Cards per IP500 V2 system. 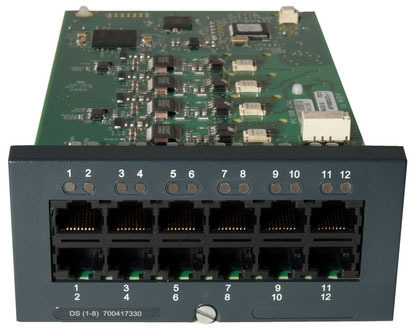 The IP Office IP500 V2 Combo Card ATM is ONLY supported on the IP500 V2 phone system main control cabinet (Version 2 base unit).